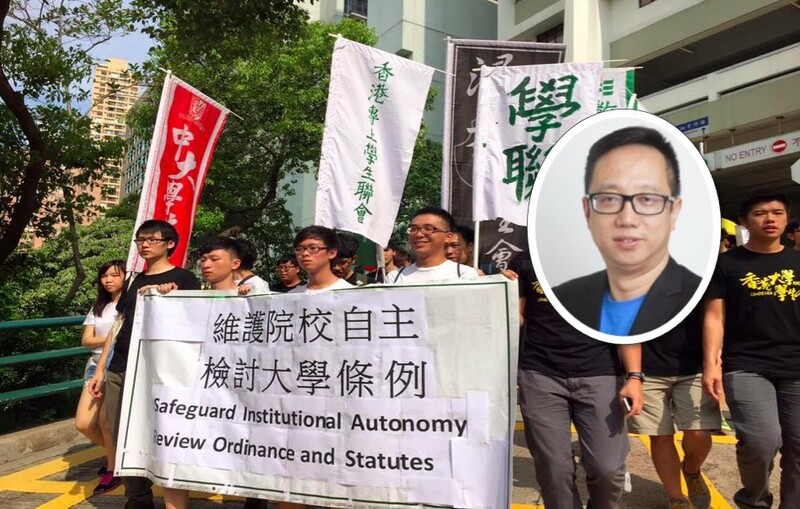 An associate professor of HKU’s education faculty has asked the public to stay out of the appointment controversy, and compared student protesters to “Red Guards” who “promote violence and dictatorship in the name of democracy”. 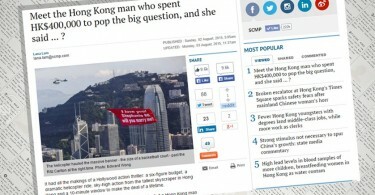 Professor Li Hui, an HKU alumnus originally from mainland China, wrote in local newspaper Ming Pao on Tuesday that he was part of a “silent majority” that did not feel represented by “intruders”, referring to groups formed by HKU alumni and members of the public who were concerned about the controversy. HKU professor Li Hui (small picture) criticises students over Johannes Chan’s appointment controversy. Photo: Undergrad. 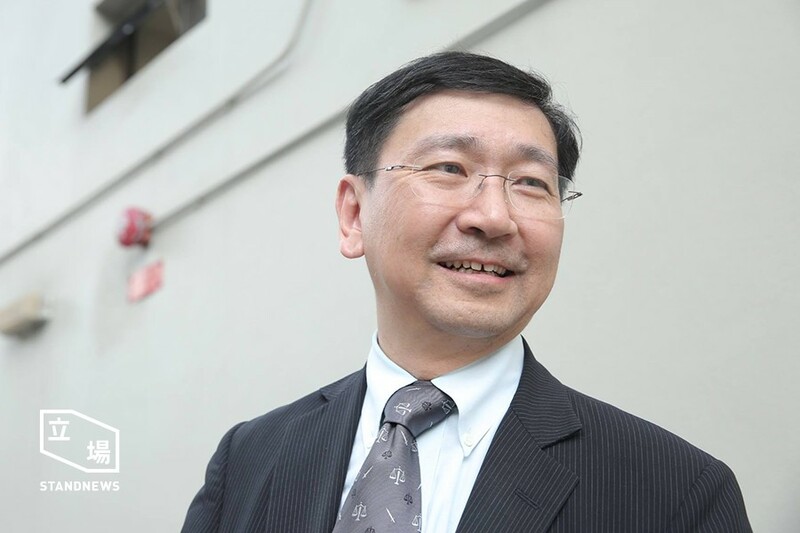 The controversy began with the appointment of law scholar Johannes Chan Man-mun, who was recommended unanimously by the search committee last December to take up the post of pro-vice chancellor. Chan’s appointment was delayed after a leaked email—which many consider to be politically motivated—revealed that his junior, law professor and founder of a pro-democracy campaign Benny Tai, transferred money from anonymous donors to HKU accounts. Li, who has written in newspapers criticising student activist group Scholarism at the heights of anti-national education protests in 2012, accused Chan of failing to manage the law faculty. He added that many professors are more qualified than Chan in terms of ability and character. The fact that some people backed Chan’s appointment revealed there were political calculations behind the debate, Li said. The controversy gained traction last Tuesday when some 50 students forced their way into HKU Council meeting after it upheld a decision to delay Chan’s appointment. 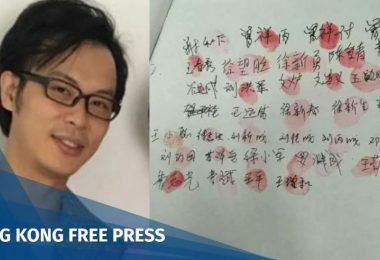 The pro-Beijing camp has called the “mob-like” student protesters “Red Guards”, referencing a paramilitary group of young people who supported Mao Zedong during China’s Cultural Revolution. A member of Hong Kong’s core policy making body for the chief executive said that students should be imprisoned for storming the meeting. Li also compared students to “Red Guards” and said the student union attempted to run HKU without consulting professors. He said that professors should be the ones in charge of HKU governance, which is a bedrock of institutional autonomy. 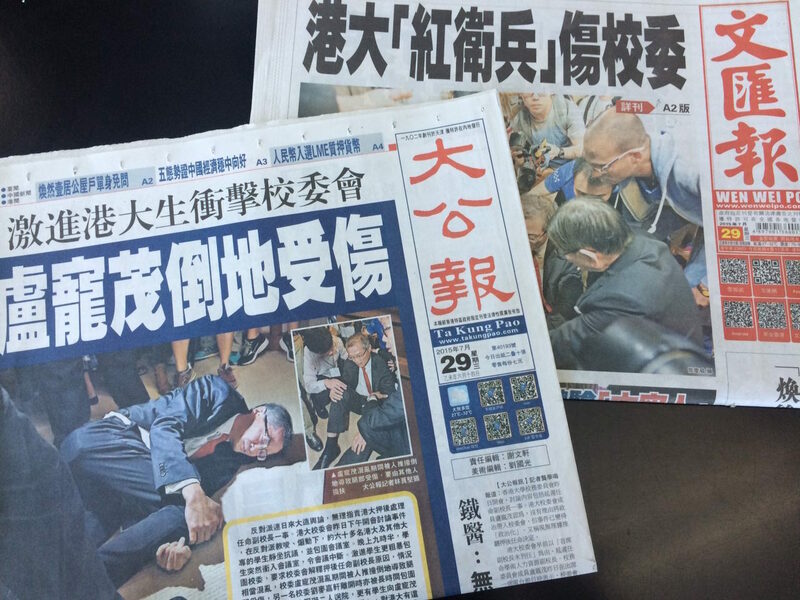 Front pages of Tai Kung Pao and Wen Wei Po following the HKU student protest on July 28. 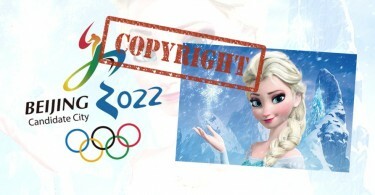 As the governing body of the university, the HKU Council is comprised of 24 members. Chief Executive Leung Chun-ying acts as the chancellor of all subsidised tertiary institutions and directly appoints six members. Some of the council members, including Executive Council member Arthur Li and Professor Lo Chung-mau, are outspoken supporters of Leung as well as critics of Hong Kong’s pro-democracy movement. Only one-third of the members, including two student representatives, are individuals from within the university. Two staff and student representatives have recently resigned citing “political forces” influencing the council. The student representative hinted that the political pressure mainly came from the pro-Beijing camp against the appointment of Chan. Students have called for the restructuring of university governance, so that members from within the institution, as well as professionals, are placed with the task of running the school. They also asked to abolish the ordinance where the chief executive acts as the chancellor of all subsidised universities in Hong Kong.